Rochester-based MW Sweepers provides sweeping services in the South East, Kent, Surrey and London, and has just become the first sweeping company in the country to fit the Cyclear® cyclist safety warning device to its fleet of vehicles. 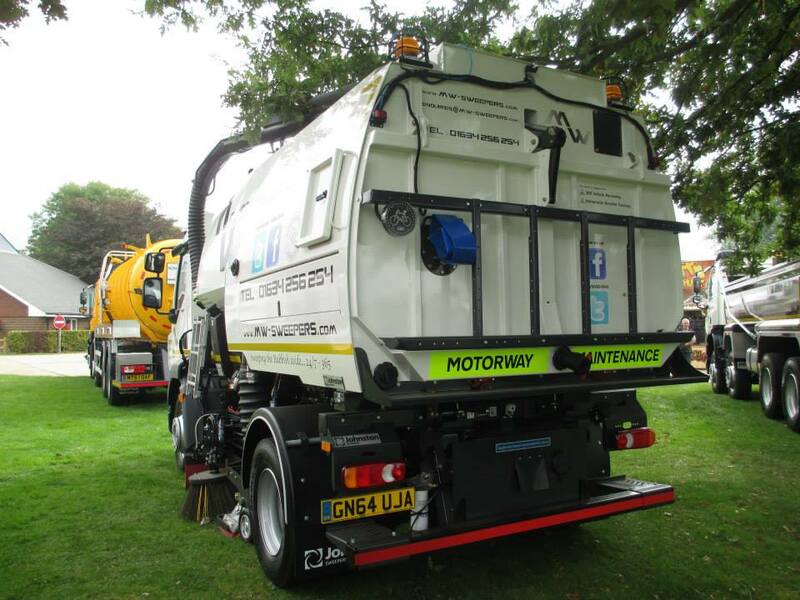 With its vehicles often operating in built-up or busy environments, MW Sweepers turned to vehicle safety technology specialists Innovative Safety Systems Ltd (ISS) to make them ultra-safe for pedestrians and cyclists. Coventry-based ISS designs, installs and maintains its own range of vehicle safety and lighting equipment such as reversing radars, CCTV camera systems, Hard Disk Recording, bespoke warning beacons and LED lighting. The company’s latest innovation, Cyclear® is designed specifically for HGV’s and is being readily adopted by local authorities and private waste operators in the UK. Seven of MW Sweepers vehicles are now equipped with ISS RX3 Hard Disk Recording, Reversing Radar and Cyclear®. The company has committed to fitting the equipment as standard to any new additions to the fleet. Mike Walsh set MW-Sweepers up over 5 years ago to provide services for the construction industry as well as motorway contracts, industrial estates, shopping centres, dockyards, aggregate yards, sand quarries and house-building sites. The Company has also cleaned the streets of London after New Year celebrations, the London Marathon and the Tour of Britain Cycle Race. Not only does the equipment keep pedestrians and other vulnerable road users safe it can also help provide a better service. RX3 DVR Hard Disk Recording equipment records every movement of the vehicle, which is very helpful for staff training and monitoring. The recorded footage is also very useful to verify whether insurance claims are real or false. The ISS Reversing Radar stands apart from other similar products as it allows for the detection of both moving and stationary objects for up to 10 metres away. Less sophisticated radars require a closing distance and are not as effective at detecting stationary objects. Cyclear® comprises an illuminated sign and speaker with an audible warning to cyclists when the vehicle is turning left. It also incorporates a sequencing sensor, which notifies the driver when a cyclist or pedestrian is approaching. Customers can choose one or both elements of Cyclear depending on their needs and budget.